My title comes from Heather Etchever’s post Open Tabs, in which she describes her cleansing her browser of open tabs as structured procrastination. This, of course, consists of rummaging around my browser, looking at tabs I’ve left open to read later, or consider writing about, and plopping down a paragraph or two rather than a full article. It’s a potpourri, so you should find something to suit your tastes. I’ve enboldened phrases that capture each topic. A little while back I responded to a tweeted suggestion for a session on getting past writer’s block in ScienceOnline2012–yes, they’re already started planning for next year’s event–so seeing John Timmer’s article Electrical current to the brain can get people to think different instantly had me thinking, could this be a cure for writer’s block?! (Tongue-in-cheek, naturally.) Check it out for yourself. Her article reminds me of reading the very early publications from the Royal Society of London. While not as extreme as the examples she illustrates in her article (the illustrations are worth seeing, too), her point that these were sincere but misguided conclusions reminds me of how ‘odd’ I found some of the early thinking to me. It’s worth reading a few of these early workers first-hand if you can, I think. You appreciate better her point and that in many ways these workers have been presented in a ‘cleaned up’ fashion in a lot of writing. I’ve previously written on the value of having some understanding of the history of your discipline, whatever it might be. This infographic shows New Zealand is one of the easier places to start a small business, worldwide. 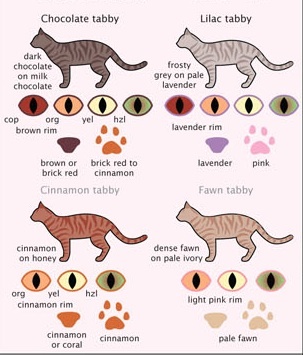 If you have a cat and you want to work out what breed your cat is, you definitely want to check out this poster. Be warned that it’s on the big side, at 3200 x 2400 pixels, but then it has to be. Let Jonathan Eisen, academic editor in chief of PLoS Biology wants to know what you’d like to see in PLoS Biology – and what you’d like to see less of too. The comments include a link to an interesting editorial (in the journal Genetics) on maintaining journal standards. This part of the discussion revolves around the distinction between professional editors, who are not practising scientists, and academic editors, who are, with a call for the final judgement on the acceptance of an article to lie with the latter rather than the former. Not too long ago, Retraction Watch featured a journal which will never feature a retraction. In this journal, all submissions are instantly rejected. Well worth reading for the list of benefits of submitting your work to this notable exception in the world of science journals. Oncologists and cancer researchers should take note that Anil Potti’s previously retracted Lancet Oncology paper has now been retracted in addition to retractions of some of his earlier work. One positive element in this is the role of statistics in examining the data. There are many more that I can bring you, but in order that you might get something tonight (NZ time), I’m procrastinating any more structured procrastination. Actually, I have to go and cook dinner… I hope there is something here for most readers. * As you can see my structured procrastination got procrastinated. Actually, I haven’t enough time to do more. But this much should keep some of my readers out of mischief for a bit. What’s the weirdest university course you know of? Thatâ€™s only a tiny selection of themâ€¦ Iâ€™ve enough to do two or three more of these, but while my typing is OK, itâ€™s not that fast. I love it! It’s exactly what I need on a Monday morning! But like a blog festival, it’s oddly time-consuming to put it up in a blog post, perhaps more than to actually read the posts. Then again, I think there is added value in describing them – it’s the actual glimpse into your mindset for having opened them in the first place. I really enjoyed this. Thanks for coming by this way and thanks for the words of support. Youâ€™re right about how long it takes to write these. Perhaps I should do re-run my post asking how long it takes to write a science blog article, but this time asking how long it takes to do a link collection?! (with introductions/thoughts.) It takes longer than I suspect readers think! 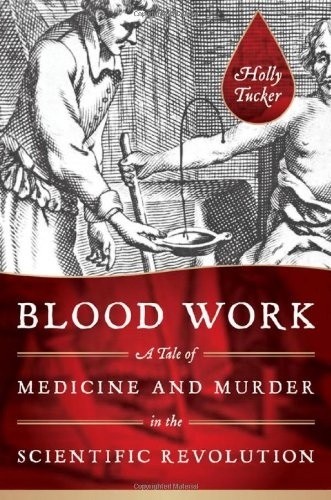 While I’m writing: anyone liking the subject of unusual findings in people (referencing my description of Mary Tuckerâ€™s book, here) should check out Alisonâ€™s latest post, quirks of human anatomy.